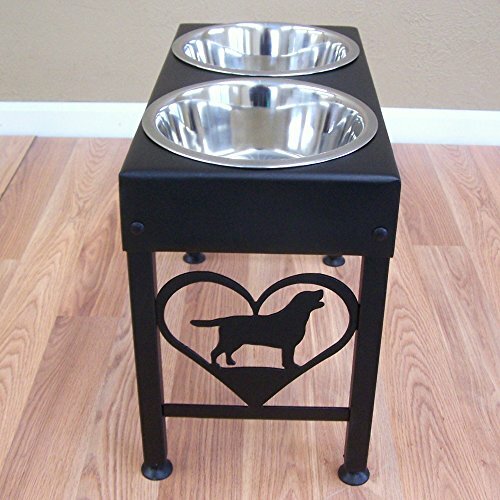 Elevated dog feeder with metal art silhouettes of Labradors. Designed to put your pet in a comfortable eating position. Durable steel construction with adjustable leveling feet and floor protectors. Powder Coat finish. Double 3 quart stainless steel bowls included. If you have any questions about this product by Modern Ironworks, contact us by completing and submitting the form below. If you are looking for a specif part number, please include it with your message.